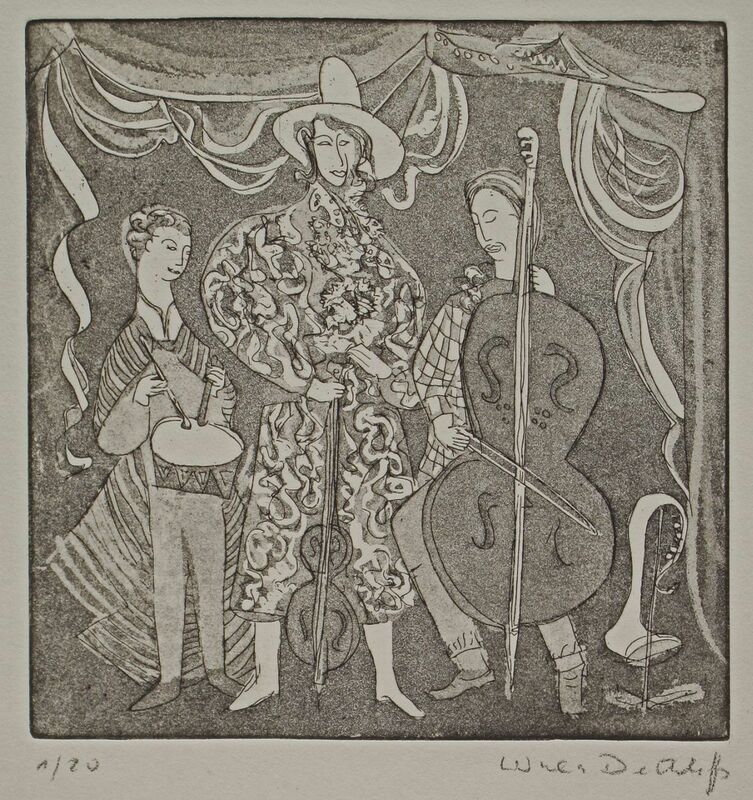 64 etchings by Ursula Dethleffs can be found in our homepage. 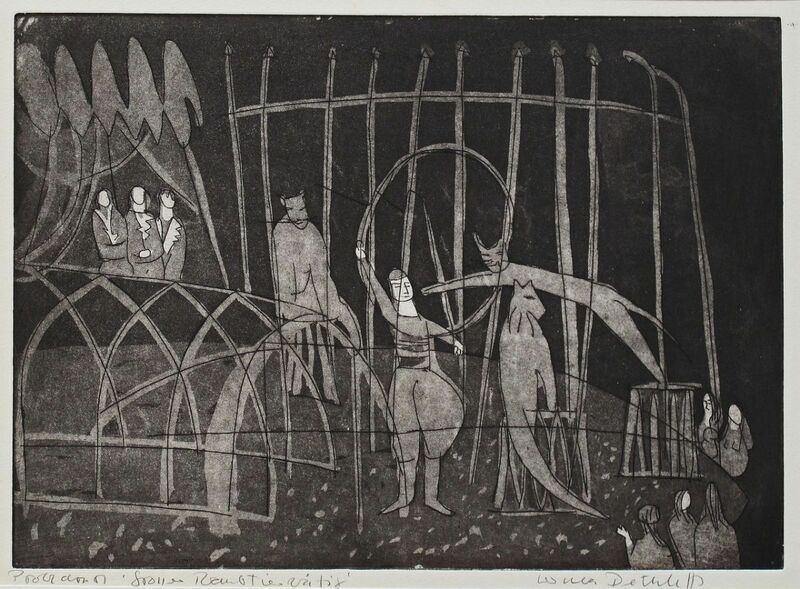 The first etching dates from 1948 - entitled "The Kiss" (288031). 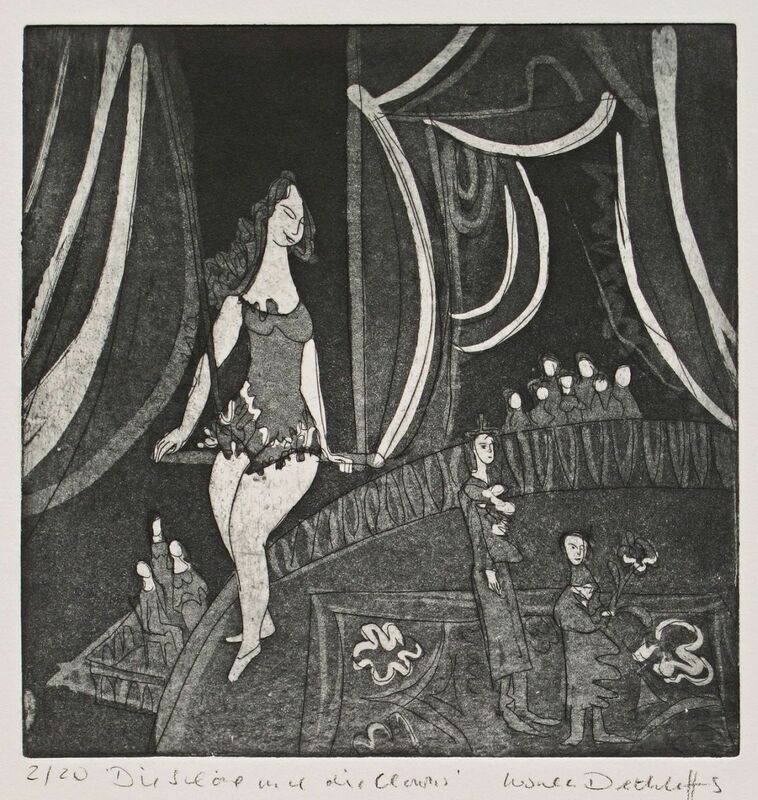 Ursula was then 15 years old - the young girl was shy, only dreaming was allowed. 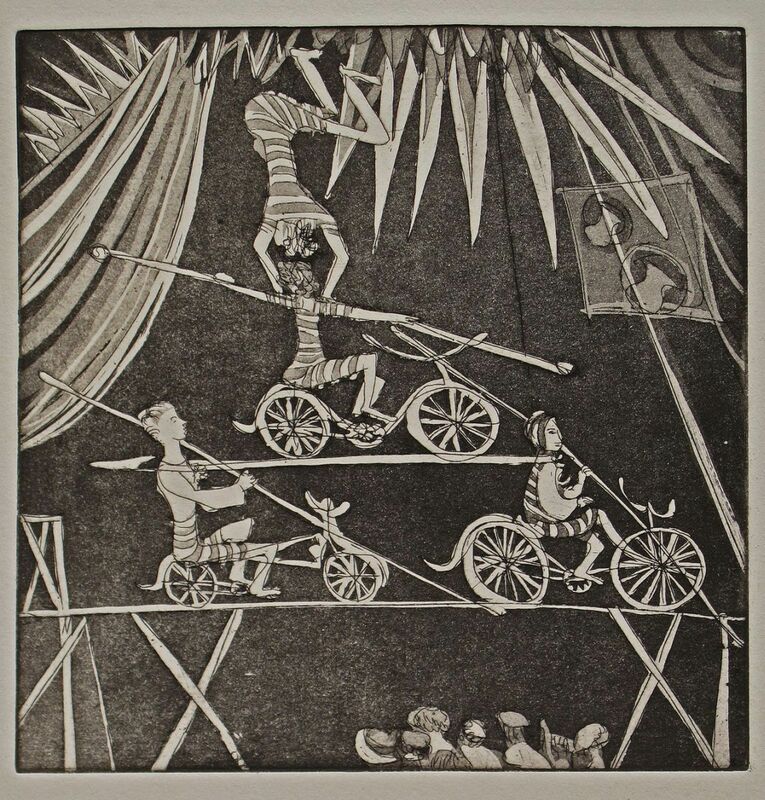 In the following years, one finds only a few works. 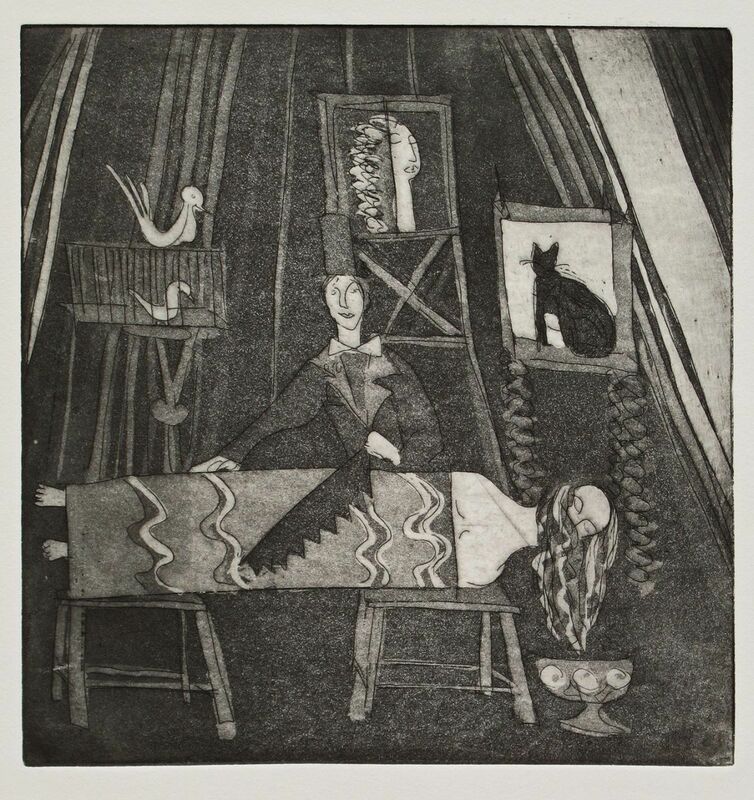 1955 - almost 10 years later - followed 13 works - including the excellent etching "painter and her model" in aquatint (288,019). 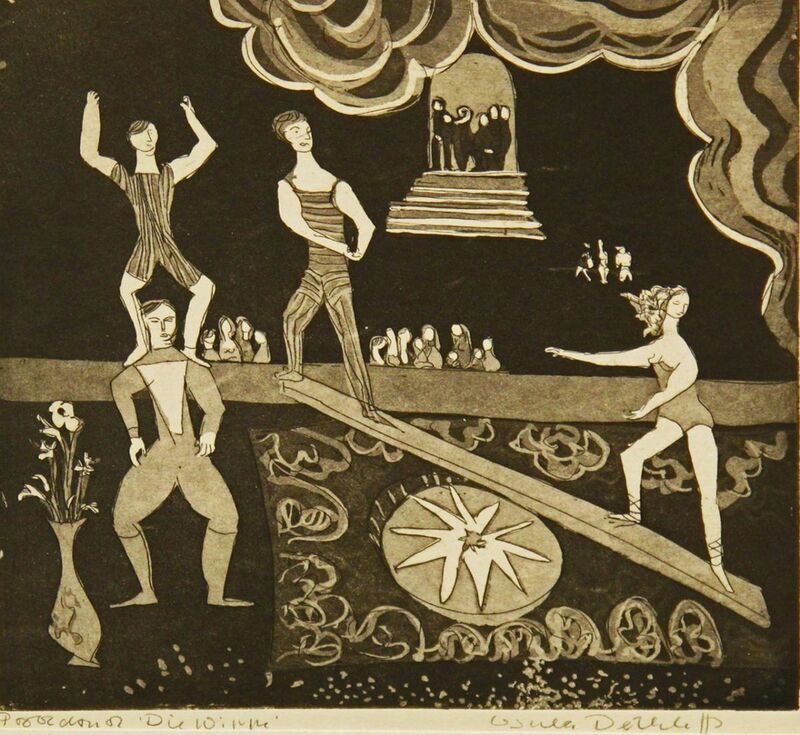 The climax of their etchings reached the artist 1978 - with 25 plants. 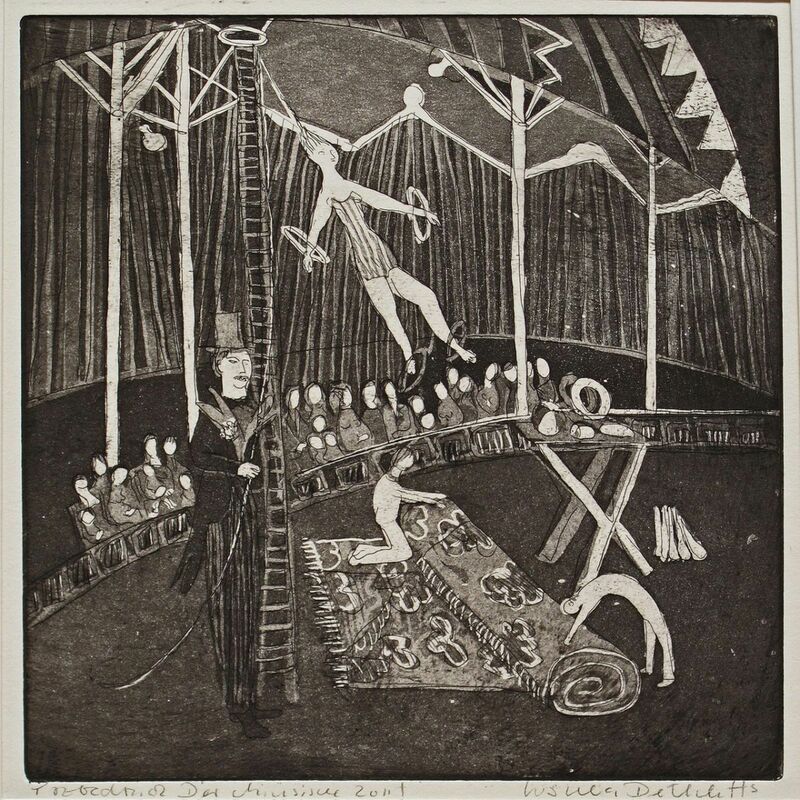 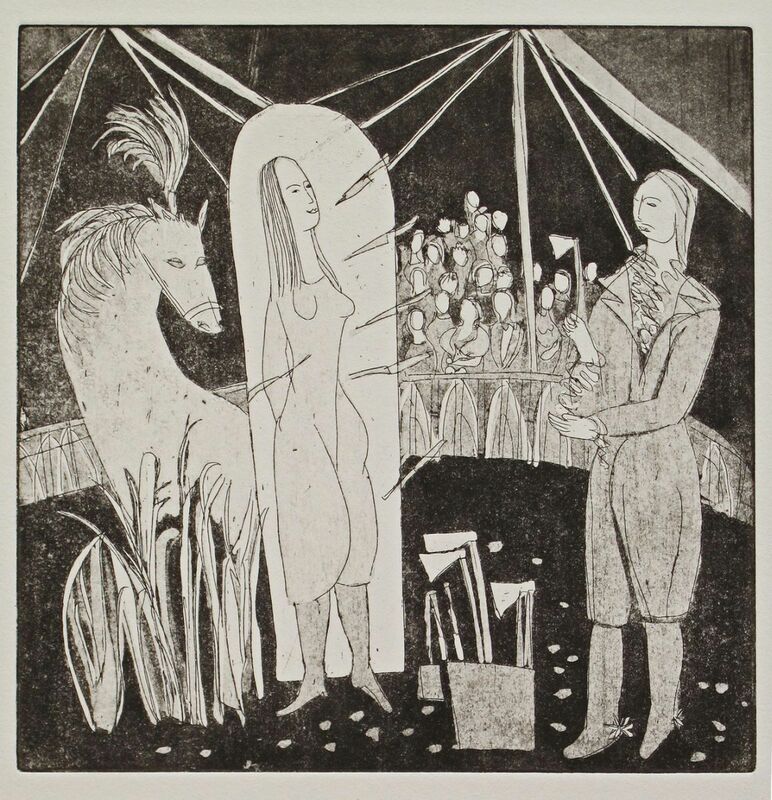 With the most beautiful etchings the artist counts from the 1978 cycle of the "circus. 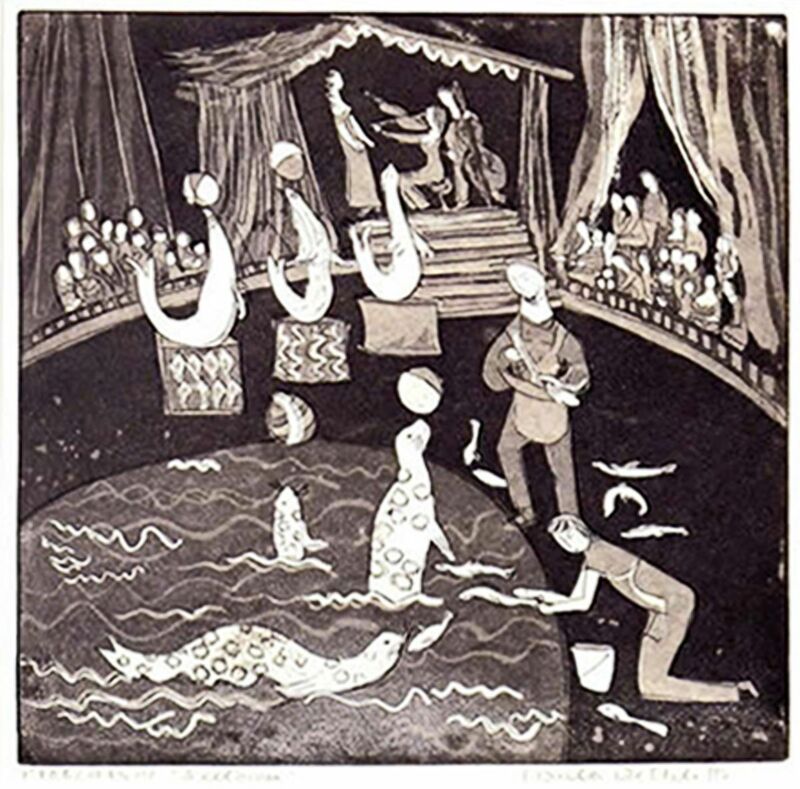 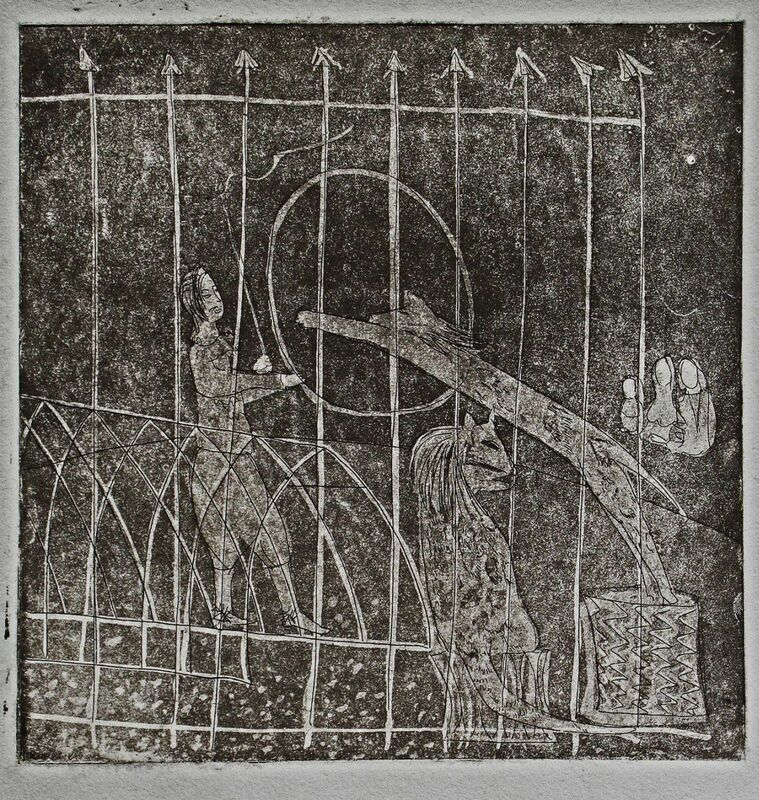 The etchings are worked in two techniques (drypoint and Aquatinta). 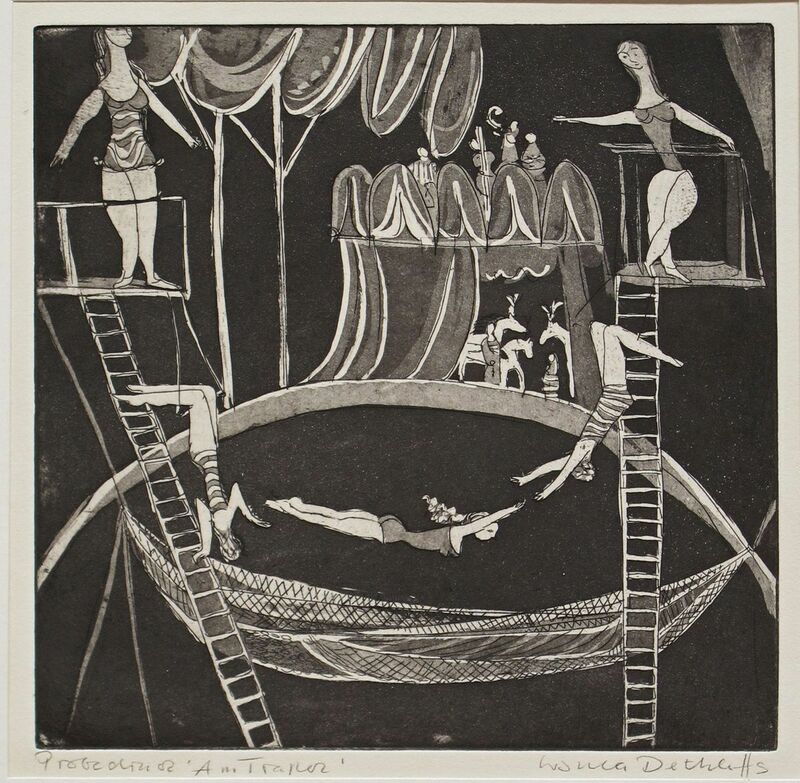 We show here today aquatinta-etchings - The Drypoint etchings can be found with the same station number via our search in our homepage.